Sarah Breslin hails from Gorey and joined us in November 2006 from Poe Kiely Hogan Solicitors in Kilkenny . 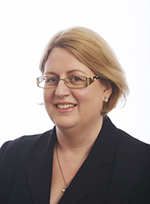 With more than 12 years experience in Civil Litigation, Sarah specialises in Family Law and personal injury matters. Sarah is also a trained collaborative lawyer, available for the resolution of disputes through the collaborative process.